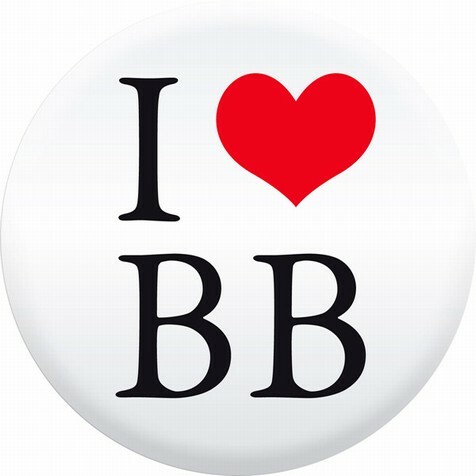 I am a BB freak. No seriously I am. Its the recent love, or addiction I have been afflicted with. For the past TWO months I have been testing available BB cream brands and also reading reviews of other brands all over the world. Its an amazing product if you get your hands on the right one, specially for working women like me who love makeup but have limited time in the morning or after work when we to run to events and coffee meet ups! This is a BIG review. The MOTHER of BB Cream reviews in Pakistan at least...I think. No Seriously, Its quite extensive compared to the most reviews I have come across but I found this necessary. If you ever wondered (Like me) while taking care of your skin "It would be awesome if we had ONE product that moisturizes, primes, tones our skin with effective coverage and glow" then our wish came true through these Beauty Balms (short for BB). First of all WHAT is a BB Cream? I see a lot of reviews regarding the BB cream without any insight of its origin or definition. 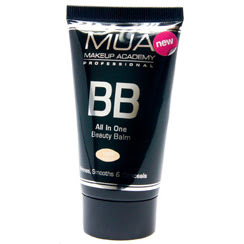 BB creams are short for beauty balms or blemish balms. They were first developed in Germany by a dermatologist who wanted a single cream that would protect skin and provide coverage after laser treatments. The all-in-one formulation became a sensation in South Korea and then spread throughout Asia. The US became more aware of it in 2011 and it was uphill since then. Silicone-based ingredients, such as dimethicone, that help smooth the skin, acting much like a foundation primer does. I wanted to test the available brands so I used each BB cream for a week to review them properly. I have written reviews in points to keep it precise and not make this a Yawn Blog but if you have any question fel free to ask and I will definitely give you the answer below in the comment section. - A full coverage foundation experience that Primes, conceals, brightens, and evens out skin tone with a range of shades (6 in total) that will adapt to suit your skin tone. - Full Coverage so you can actually use it as a Foundation even for a Night out. - Dries out a little and leaves a residue if we finish it off with Face Powder. -The coverage is good if you use this as an alternate to mousse foundation. - The quantity is not impressive. It seems more empty then full. - It feels more like a tinted, creamy moisturizer that creates a natural glow rather than a BB cream to me. - Compliments skin tone but doesn't give a lot of coverage. - It claims it blurs imperfection though I feel it only minimizes pores and the blurring is quite light. It does tone down redness and color corrects light scarring. Could have been better. - Hydrating, Oil free, non greasy. - Over all I feel its good as a base or a light tinted moisturizer but not effective enough as far as coverage is concerned. It did make my skin look and feel healthier after I used it for a week but I still wanted something with better coverage. - Ideal for people with younger, more flawless complexion who just need that Barely There, glowy skin look while taking care of their skin. - Like the creamy white texture that turns the shade of your skin when applied. - Packaging is quite delightful and I like the way it smells. Fresh fragrance. - The cream is light and has sheer coverage, again more like a tinted moisturizer, though it evens out skin tone. - Does not cover blemishes and acne spots. - It blends well and is not sticky. Great for summers. - Great for hydrating your skin in summers (which we think is unimportant when its not) as it doesn't make skin Oily. - Even though a lot of people were complaining about the shade limitation they don't realize that these BB creams have color adaptive technology so blends with your skin tone. I got the medium because it suited my fair to medium yellow skin tone. I wonder if the darker shade will be adaptable enough to the darker tones of Pakistani Ethnicity. - Its an overall good product but for someone like me who prefers the infamous Korean BB cream Fad its not thick enough. But that's a personal choice. - Creamy consistency and great coverage though you need to be careful because it dries up fast so need quick blending or will look cakey. - Skin felt tight and firm after use and pores were minimized. - Used it for a week (testing) and definitely worth being in my BB go to products. - Hydrating even though it mattifies and looks even better with a bit of powder finish. - The ONLY drawback which is actually a personal thing is the shade is a bit orange and I have to use a little powder as a finishing product otherwise a look slightly orange. The shade I use is Medium as the Light shade is too pink for my skin tone. 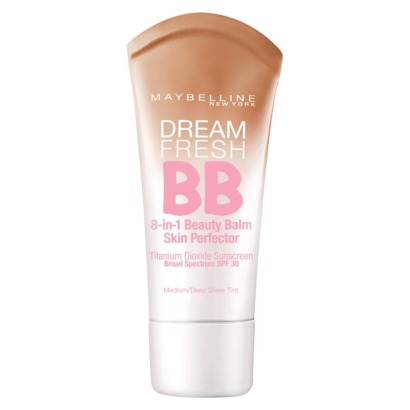 THIS product is my definite Go to DAY TIME Light coverage BB Cream. I am addicted. - Love the light creamy effect which gives medium coverage. - Skin looks as well as feels smoother. Cleared up considerably in a week as claimed. - It gives a Light to medium coverage but you can actually build it up WITHOUT looking like a pastry and it still feel light on the skin. - My Mother ran out of foundation and used this in one of the weddings she had to attend and told me she got compliments about how fresh and glowy her skin looked! a great alternate to the heavy coverage cream foundation WITH benefits. - It has a typical 'Garnier' smell. I am an avid and loyal Garnier product user so I can relate but a lot of people might not. Lets just say its fresh and floral smelling. - Great buy for quantity. - This BB Cream is ALMOST perfect. I say almost because the Last BB cream took the crown with just ONE added quality (plus I wish it had a primer added as well). Creamy, great coverage, Skin perfecting and ANTI-AGING? Wohoo! - Continuous use clears up skin and makes it clearer, brighter and younger. 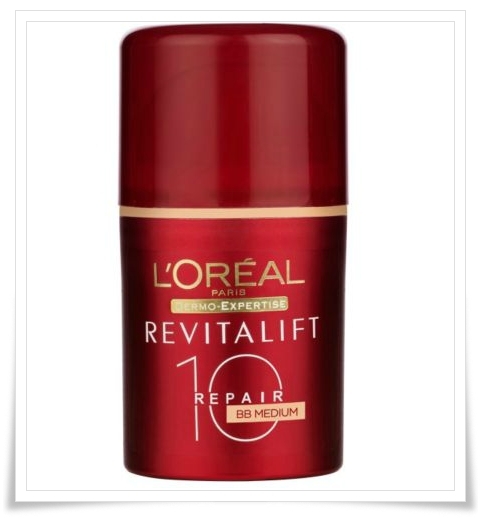 According to L’Oreal the formula contains both Pro-Retinol, an anti-wrinkle active and Pro-Firmyl, boosts skin’s natural firmers. - This formula supposedly targets the ten signs of aging and leaves skin with a silky, smooth feel. - An advanced “pigment complex” gives skin a radiant, natural finish. - Smell is a bit strong but once you get used to it its fine. - it doesn't have a primer but minimizes pores so all is good in that section. - Great alternate to foundation for people like me who like medium, light feel, coverage. - A great Go to product when I have to go somewhere after work. I do have to confess though: So far, drugstore BB Creams aren’t exactly what you’d expect from a traditional Asian BB Cream BUT hey I have to give full points for good effort and almost getting their because I did finally settles for two of the above after all the testing! You can get the above from Agha Supermarket (Karachi), just4girls.pk, Vicky's cosmetics (Khadda Market, Defence, Karachi) and other leading superstores. I love the Body Shop one. You should try the Garnier one as well. it rocks! haye Love you for removing the code thingi. Long list..I have to choose one. What would you recommend for oily/combination skin?? Waiting for you..:) Do sahre it with your friends too. Mo I also have combination / oily skin. Hmm I havent tried it but I saw it in one of the cosmetics shops and honestly the only reason I didnt get it is I dont believe in compact BBs. The actual concept is to get a cream which will provide medium yet good coverage, is light on your skin , clears skin, primes, conceals and protects while also moisturizing. You dont have to worry about pigmentation with a lot of BB creams as they actually clear those away. Which ones didnt suit you? I heard Rimmel is a bit unpredictable. MUA and Maybelline were like applying nothing at all...Garnier turned me an ashen grey. That's when I quit BB creams. Generally Bourjois products treat me well, so am on the fence. Thanks for the info. I just recently got the body shop BB cream, Ill let u know how that works out for me. But a brand that I really am a fan of is called Benefits. I use their primer and then tinted moisturiser. its brilliant stuff!! Chk them out! I also have their blush, lip gloss, mascara, concealer and highlighter and their stuff is brilliant. Albeit a bit pricey but soooo worth it! Thank you soo much for the Appreciation Afsana! 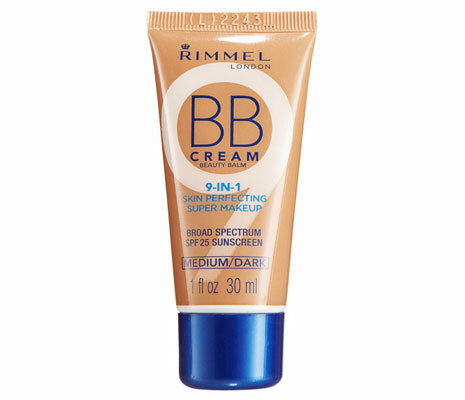 I absolutely LOVEE bb creams, especially Korean ones! I think the best Korean bb cream is either SKIN79, Missha, or Etude House. I have first time read any blog related to beauty. And, I must say it is worth reading. I am so much inspired by it that i really want to use it. I work and never use any creme/moisturizer or any cosmetics (i m not fond of makeup and neither i know how to apply)...i have several marks on my cheeks-a result of pimples. Please let me know if it lightens skin tone? I have a wheatish complexion which one should i use : medium or light? please tell me which BB cream should i used.?? 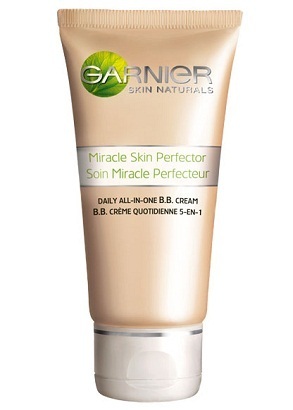 i am having lighter and fairer skin tone but acne spots..i have dry skin..i brought Garnier BB cream but i does not make any difference before or after apply as acne spots doesn't become invisible or even lighter.